Wizard World Roundup and a special interview with Gareb Shamus. Report on the Rock and Shock Festival. Andrew Marnick from Browncoats Redemption with an update on sales. Aaron Wilson, a contributing author, wrote The Paperless Doctrine of 2152. Aaron reads an excerpt from his story. 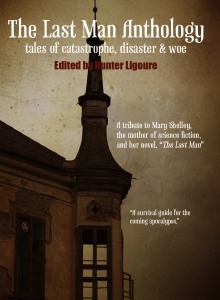 If you buy a copy of the Anthology here, and insert the coupon code ATLANTIS1, you will receive $ 3.00 off the price of the book. Purchase a copy of Browncoats Redemption here and use the coupon code sfsn2010 to receive a $ 2.00 discount. Happy Anniversary To Our Very Own X and DRH! Thanks for your great comments about my story. I’m thrilled that Kriana loved it. I’m excited for this anthology, too. Yes! Happy anniversary Illustrator X and Dead RedHead !